With the media in disarray, even in meltdown, over their failure to prevent Donald Trump from winning the presidency last month, the issue of “fake news” has become an urgent concern. What is really of greater concern? Fake websites that are established to make money and discredit their political opponents? Or is it the establishment media that are pushing a political agenda, while claiming to adhere to high standards of journalism? An armed man recently traveled from North Carolina to search for sexually exploited minors at a pizza shop in Washington, DC—he had been taken in by a phony Internet conspiracy theory known as PizzaGate. This incident has fed the so-called mainstream media with additional reasons to publish stories highlighting the dangers of fake news and online conspiracies. However, as the creators of fake news are exposed, it becomes clear that these sites are often motivated by making money—while mainstream media organizations use fake news as a means of furthering the Obama administration and the “progressive” agenda. 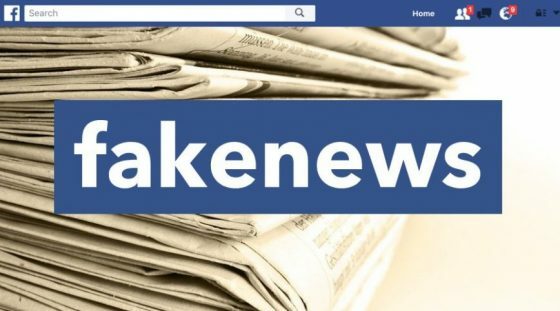 Georgian citizen Beqa Latsabidze “was savvy enough to change course when he realized what did drive traffic: laudatory stories about Donald J. Trump that mixed real—and completely fake—news in a stew of anti-Clinton fervor,” reported The New York Times on November 25. “Mr. Latsabidze said his only incentive was to make money from Google ads by luring people off Facebook pages and onto his websites,” it reported. Ironically, Latsabidze found that he wasn’t able to make any money publishing “gushing” stories about Hillary Clinton. Another fake news writer, Jestin Coler, met with MSNBC News to detail his exploits. “This is one that I would probably take back,” Coler told MSNBC. “And even, to kind of add to that, Google closed all the accounts that were running on the site, so even that money is gone.” Coler, the fake news propagator, admitted to MSNBC that he’s a Hillary Clinton supporter, and in fact voted for her. In an interview with NPR, Coler wouldn’t cite exact numbers, but said that his fake news grossed similarly to others making $10,000 to $30,000 a month. Yet, despite the lucrative business, Coler claims that he created these stories to undermine the so-called alt-right and Trump supporters. “The whole idea from the start was to build a site that could infiltrate the echo chambers of the alt-right, publish blatantly false or fictional stories and then be able to publicly denounce those stories and point out the fact that they were fiction,” he told NPR. As for Trump, “His whole campaign was this thing of discrediting mainstream media sources, which is one of those dog whistles to his supporters…He knew who his base was. He knew how to feed them a constant diet of this red meat.” It should be noted that Coler started working on this back in 2013. The mainstream media’s fascination with exposing fake news writers such as Coler revolves around the desire to prove that their own reporting is above reproach, and should be trusted. A Gallup poll shows that current trust in the media is hovering at 32 percent, and bottoming out at 14 percent among Republicans. It’s not as if readers don’t have reasons to distrust the media. Brian Williams’ broadcast regarding the fake news industry was an exercise in irony, and just shows what’s wrong with mainstream reporting today. He is, in effect, the recent “godfather” of fake news, having spread false tales for years about his alleged adventure in Iraq in a Chinook helicopter under fire. Actually, Breitbart has documented more than 30 examples of Williams telling lies or disputed stories. So when he is introducing a story about fake news, do he and his producers think we’ve all forgotten what got him suspended last year? As we recently reported, the media continue to provide false and misleading reports about Obama’s Iran deal, which is not an actual deal but merely a set of political commitments. Yet most major newspapers and TV networks continue to report that the Iran deal is “signed,” which it isn’t. We’ve also documented how fake news has allowed President Obama to claim success in everything from fixing the economy, to improving healthcare, to making the world a more peaceful place, to having a scandal-free eight years as president. His actual record, in each case, is quite different. The reason that the media continue to obsess over fake news stories is that when viewed in contrast, they appear more credible at a time when their public credibility is in short supply. Generally, the fake news stories they are now reporting about are easy to detect. But if the news media continue to publish stories that mislead the public, then they are no better than the online peddlers of fake news, and more of a threat to the marketplace of ideas.